86 percent more weight in the rear of the clubhead on the TaylorMade M4 driver improves MOI and forgiveness. SPECS: 8.5°, 9.5°, 10.5° and 12° with Fujikura Atmos Red shaft. M4 D-Type (draw) model also available. RECOMMENDATION: Great option for any level of player who wants straight distance and forgiveness. KEY TECHNOLOGIES: Twist Face for straighter shots on low-heel and high-toe hits; Hammerhead Slot in the sole for maximum ball speed across a larger area of the face; Geocoustic engineering for improved sound and feel; 86 percent more weight in the rear of the clubhead for higher MOI and forgiveness. 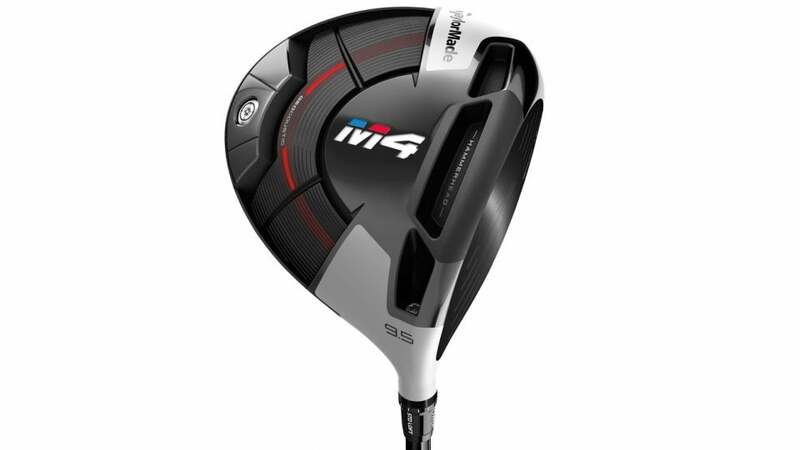 The M4 represents a significant upgrade over the excellent M2 driver. Impressive forgiveness comes not only from the highly innovative Twist Face technology, but also from a much heavier backweight that significantly increases MOI and overall stability. The Hammerhead Slot in the sole, which is now comprised of three sections to extend the size of the sweet spot, contributes to faster ball speeds and distance on all strikes, including those away from the center of the face. To cap it all off, a newly engineered sole vastly improves sound and feel at impact, making the M4 not only long and straight but also pleasing to hit. "Power and precision. The ball screams off the face and usually finds the fairway. The Twist Face design definitely helps low-heel and hightoe hits go straighter, just as it does in the M3. Higher-launching, more forgiving, with lower spin than most drivers available today."